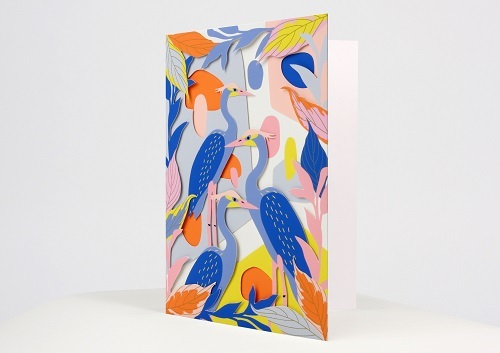 UWP Luxe is a boutique stationery line of trend-driven pop-up greeting cards and elegant home goods. UWP Luxe, Up With Paper’s boutique line of stationery products and elegant home goods, is introducing its very first Desktop Collection, stemming from the company’s passion for all things hand-painted and carefully crafted. This collection features four art themes that are applied to three formats – fabric pouches, ceramic trinket trays, and enamel pencil cups. The UWP Luxe Desktop Collection is available to ship now. The four featured art themes cover a variety of popular trends, color palettes, and patterns. The designs include an abstract composition of brightly colored paint strokes and clustered dots, decorated beetles arranged with bright blooms and foliage, delicate hands holding carefully cut sprigs, and leopards roaming amongst lush tropical flora. Embellishments such as metallic gold ink further enhance the collection. All designs can be seen online on UWP Luxe’s website. Originally founded as PopShots Inc. in 1978, Up With Paper has been recognized for design excellence more than 100 times with the Greeting Card Association’s highest honor, the LOUIE award, including the “Card of the Year” LOUIE Award in 2005 and 2018. Up With Paper’s intricate, innovative Treasures, Panoramics, and Sight ‘n Sound Pop-Up Greeting Card lines, Pop-Up Snow Globe Greetings®, Pop-Up Notepads, Notebooks, Boxed Cards, and Trinkets® gift enclosures, as well as the company’s UWP Luxe boutique line of trend-driven pop-up greeting cards, laser cut stationery, and elegant home goods, are available in thousands of specialty retail outlets throughout the United States and around the world. 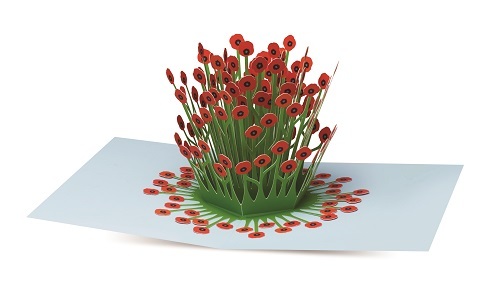 Up With Paper was the biggest winner at this year’s LOUIE Awards, which annually honors the best greeting card designs through a juried competition sponsored by the Greeting Card Association (GCA). 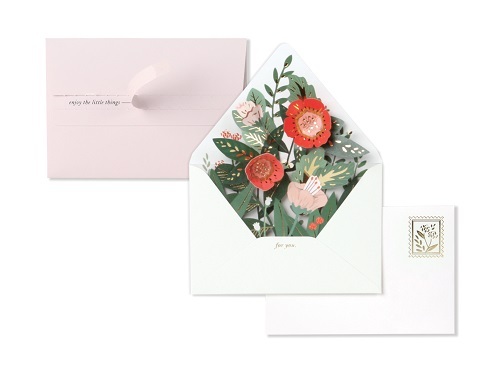 At the 2018 National Stationery Show, Up With Paper celebrated 40 years of delighting greeting card senders and recipients alike since its debut at the 1978 National Stationery Show. The booth showcased a number of Up With Paper’s first-ever pop-up greeting cards, featured a timeline of notable events from over the years, and held an anniversary party to honor the company’s history and celebrate its future. A number of new products were introduced for the first time at the show, such as Up With Paper’s new Christmas Treasures and Panoramics designs with push-button light effects that bring the spirit of the holidays to every card. 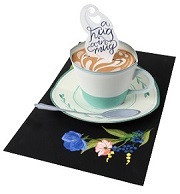 UWP Luxe also used the show to debut a new petite pop-up greeting line, Dear Alchemy, featuring die-cut, interactive, “small yet still mailable” cards that focus on nostalgia-driven themes with a sprinkle of humor. Follow Up With Paper and UWP Luxe on Instagram to see Stationery Show highlights and LOUIE award winners. Die-cutting and interactive elements abound! We offer Everyday and Christmas designs which may be viewed on our website. Each cover features salutations that are suitable for a variety of sending occasions and are blank on the inside for personalization. 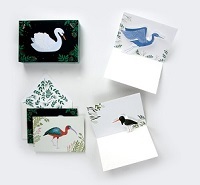 Each box includes a set of eight pop-up or die-cut cards with white or matching envelopes. All designs may be viewed on our website. 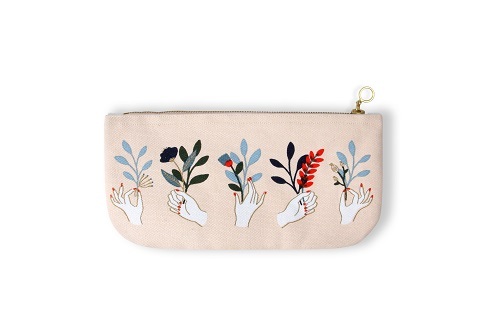 This collection features four art themes that are applied to a variety of formats - fabric pouches, ceramic trinket trays, and enamel pencil cups. 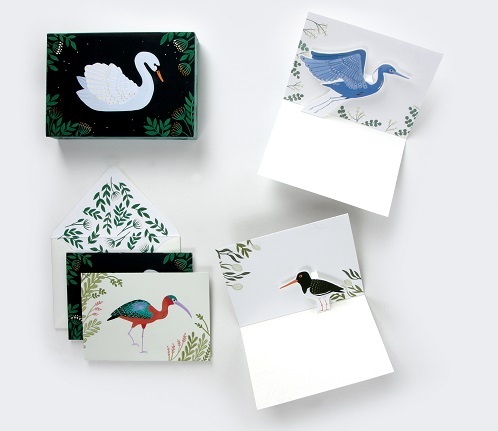 MoMA’s world-class boxed everyday and Christmas cards are available for purchase exclusively from UWP Luxe.